My immaculate dream made of breath and skin. Things between both became so intimate as to be entirely private. Clothes strewn over the ground, the room now in a disarray. Both now appear to be freshly showered, golden and raven locks still damp. The bed is rumpled, sheets and pillows chaotic. The room still rang with the echoes of the young lovers, if the ear but listened closely enough. The combined scents of both linger on the air, and now they faced off with one another, closet destroyed, desk a mess, and spirits glancing worriedly between them both. The No Moon stood dressed, while the Crescent Moon gained his feet. It's a standoff. "I will let you undress me, but I warn you, I have thorns like any rose. You could hurt me with your bare hands. You could hurt me using the sharp edge of what you say. I'm lost to you now. There's no amount of reason to save me." "Don't you get it, dear? You're not the only one who runs on instincts, no I've got instincts of my own... You want the tools to try and contain me, you won't deny you haven't tamed me, and I'm wild. What is it you adore? Won't you tell me, what would you cry for? Swallow your pride for? What would you go wild for?" "So you found you missed the love you threw away? Baby, but you found it out too late. And so you know the way it feels to cry, the way that I cried when you broke my world in two. Baby, I learned the way to break a heart. I learned from the best. I learned from you. I remember cold nights, tears I thought would never dry, how you shattered my world with your goodbye." "My immaculate dream made of breath and skin. I've been waiting for you...Can't help but keep from falling apart at the seams. Cannot believe you're taking my heart to pieces. Oh, it might take a little time, might take a little crime to come undone. Now, we'll try to stay blind to the hope and fear outside. Hey child, stay wilder than the wind... Who do you need, who do you love when you come undone?" "I stare at the girl in the mirror. T-shirt, torn up jeans, no beauty queen. But the way that you see me, you get underneath me, and all my defenses just fall away, fall away. I am beautiful with you, even in the darkest part of me. I am beautiful with you, make me feel the way it's supposed to be. You're here with me. You show me this, and I believe. I am beautiful with you...I've been the strong for so long, but I was wrong. Does it make me weak if I needed someone? I've been holding back. Now, I know what I want." "Even here before you, naked in your eyes. Hoping with each kiss, you'll never see through my disguise. I had been made to believe that no one could love me for me. The good and the bad, first to the last, no matter the cost, no matter the past. Your eyes only see what they wanna see. Your heart makes the truth what you want to believe. Passion turns pain into ecstacy. You can't walk away from love. Loving you more than I do myself. Revealing the things I would never tell. Daring to risk even life itself. You can't walk away from love." "Lying here with you so close to me, it's hard to fight these feelings when it feels so hard to breathe. I'm caught up in this moment, caught up in your smile. Never opened up to anyone. So hard to hold back when I'm holding you in my arms. We don't need to rush this, let's just take it slow. Just a kiss on your lips in the moonlight. Just a touch of the fire burning so bright. I don't wanna mess thing up. I don't wanna push too far. Just a shot in the dark that you just might be the one I've been waiting for my whole life. So, baby, I'm all right with just a kiss goodnight." Elliot blinked as the woman got off of him and immediately moved off of the object that was tormenting him before looking at the woman beginning to get dressed. The small hope within him that had hoped that she would continue out of sheer lust once he'd calmed down died and he looked down with a sigh as he rolled over onto his knees on the mess and shook out his hair sending water droplets flying about. Slapping himself twice to get himself to focus, the teen started digging through his clothes careful not to look at anyone for fear of embarrassment as he got dressed. Blue and white striped boxers that nearly matched his eyes were the first to go on, followed closely by a pair of dark blue jeans that faded a bit down the center of the thighs with a small distressed area underneath the left pocket where the stitching frayed enough to show the strands that wove together to form the pants. next was a simple, yellow graphic t-shirt. The words hugging the underside of an angry smiling reading "F*ck Everything!!!" could be seen for a moment before he slipped on a lighter blue-striped, short sleeved button down on over it. Finally, the Crescent Moon put on a pair of socks and dug a detangling brush, some baby oil, and a few combs out of the mess bringing the items to the bed and dropping them between he and Lya before sitting down and combing his fingers though his hair to assess just how tangled it had become during the chaos that had just ensued. After assessing the damage, the teen grabbed the detangling brush and began carefully brushing out the knots as he glanced back and forth at Lya through the corner of his eye as he became more and more nervous. "Err... sorry...," he said again once he finally began to speak, "I don't know came over me... ever since yelling at Niha yesterday it seems like my emotions have been on edge... heightened somehow... as if something else has awakened inside of me..." The teen turned away from Lya, but continued to brush his hair. Knowing fingers would thread through the golden locks, loosening any tangles they found as the brush came close behind eradicating them. A faint counting barely heard beneath his breath as though he were keeping track of the strokes. Just from watching him, one could tell that Elliot cared a great deal about his hair, and when his hair was down, the result of his treatments showed amazing results. "I don't know what it is. It's like a well of emotion... sometimes good, sometimes bad... and I seem to get stronger when it comes out... to the point where I can't focus my strength...," he winced looking at the dresser that was lodged deep into the wall and floor at this point. The sound of cracking wood audible every now and then as the dresser continued to slowly sink deeper into the weakened wood through it's own weight. "What if this gets worse Lya-chan? What if I lose it completely one day and went on a rampage or something? Like Gregor when he gets mad. I wouldn't want that..."
By the time he had finished speaking, the teen's brush lied still, mid-stroke as he shuddered slightly. The fear of the unknown beginning to overcome him. Equipment: An ornate, silver rapier fit for a lord such as himself / Any darkness and/or shadows in it's vicinity can become it's weapon(s). - Description: This form is only revealed when Kazuma and Daemos combine. While in this form, Kazuma can use his powers to their fullest. Though they have diminished since his prime, he can access the powers of the void that this form is named for and unleash them on his victim. No stat multipliers are gained in this form, but kazuma and Daemos' stats are added together. Bio: Elliot was a normal, albeit girly-looking, guy in his previous school. Due to his girly looks however, he was constantly harassed by girls that wanted to dress him up like a girl for fun (when he was younger, now they don't approach him due to his bad reputation) and guys that thought he was easy prey (bullys basically). Being surprisingly manly for his looks, he wasn't the type to go down easy, thus he got into numerous fights earning him a reputation as a delinquent. During this time, he discovered his hidden abilities and tried to keep them hidden, only using them when he had to... until a certain incident where he sent a waiter through a wall cuz he'd pi.ssed Elliot off. In the end, Elliot was sent to Oraion Academy by his parents and his previous school in order to learn to better control his abilities and try to redeem himself. All he wants however, is to have a nice, peaceful school life and to be left alone. Equipment: Double Impact - a pair of gloves given to him by his cousin Gregor that doubles the power of his Impact manipulation. With glove on, his strength is further multiplied by 2 AFTER the initial buff. Speed is unaffected unless Elliot uses the gloves to launch himself at his target. In which case, that gets doubled too. To simplify things in the future, I will state Elliot's new strength and speed levels for that attack as we rp alongside the multiplier used at that time. Elliot's debuff is also doubled to 1/5th at the cost of 2 points per post of sustained contact with his gloves on making it more practical for use. BWAHAHAAA!!! *=may be edited later for practicality. She looked at the boy, the tension in her face and body lessening by degrees as he told her the timing of this new development. She scooted closer, moving the items between them out of her way. She took the detangling brush from him, tilting his head back. She worked the tangles gently from his hair. "Cher, I'm glad you told me this. It's going to keep getting worse until you shift fully. By then, you really will do what Gregor does. What this means is that we need to lead you to shift without outside interference. In a positive manner, rather from a roused temper and being angry. And then, we need to help you get that temper of yours under control." Ely's hands moved slowly, but with surety, detangling his mane. "Ask your questions. And still your worry, cher." She said, massaging his head. Elliot blinked. He might've heard her wrong, but he thought she said "shift." As Lya explained what was going on, the teen felt a mix of excitement and dismay; excitement because he would finally be able to shift like the rest of his clan, and dismay because when it happened, it would be the same as when Gregor shifts out of rage. Blonde brows furrowed teeth bit down on his lower lip as the Crescent Moon considered what Lya said. Her words and her brushing provided comfort for him as his right hand moved back to grab the bottle of baby oil and offered it to her as his eyes slowly closed. No matter how much the teen thought, he could only think of one question. "How soon can we start?" He asked Lya. The spirits in the room gradually beginning to relax as they heard Lya had a plan, yet not leaving until they heard more details. As usual, Ignis was the odd man out in this sentiment though, as he began sniping Georgie from across the room with small sparks of flame. Eventually getting fed up, Georgie hopped off of the desk and dashed at the fire spirit in a manner similar to something Elliot might do. Caught by surprise, the fire spirit ducks through the floor as Georgie attacks pecking at the spot where the imp vanished. Then a sort of "whack-a-mole" game ensued as Ignis popped his head out of the floor and taunted the bird only to duck back in and pop up somewhere else as the chick tried to attack him. Ventus snickered at this little display as Aqua fumed on the verge of attacking the imp herself. 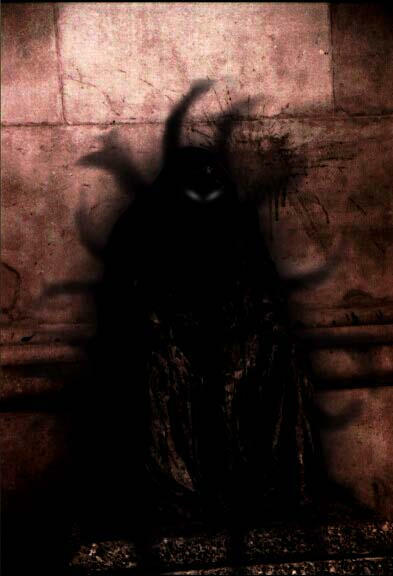 Meanwhile, Yggdrasil's proxy sat on the floor still staring at the shifters, merely watching and listening as Sangre continued to float outside doing the same. As the fire imp popped back out of his hole to taunt the bird, Lya snapped her fingers. For just a moment, the fire imp found himself stuck and unable to disappear as he had been. He received a peck, then two, then three from Georgie before Lya's fingers snapped again. She leaned down to the little chick, beckoning to him. "Come here, ma chou." She shook her head slightly at the inappropriate imp. She glanced at each of the spirits, smiling slightly at Aqua. If Georgie came to her hand, he gets set in her lap, She takes the baby oil, using that, as well. "Well, cher. First, if we can get you to shift when you aren't angry, you won't be violent or harm someone. Your shift won't be a bad one. To your question, I'd like to get started right away. But you're going to help me. Tell me what you think would stir the positive side of that spectrum. When you're angry, you reach the wolf. Tell me what makes that light glow in your eyes for the better." She told him softly. Her eyes flicked to the blood spirit outside the window, her brow raising. There's a cautious welcome there in those amber eyes. For this, the No Moon didn't hold a grudge. Ignis wailed as Georgie pecked him multiple times then kicked him across the room. 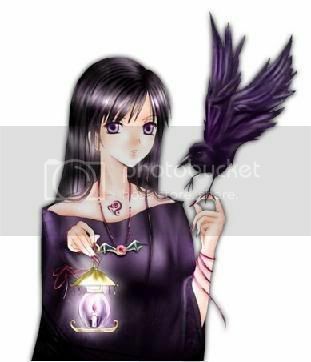 How the hell the bird was able to touch the spirit may never be known, but he chirped thankfully and trotted over to Lya's hand nuzzling her stomach once he was in her lap. This time, Aqua giggled a bit at the imp as his eyes rolled dizzly in the pile of clothes and junk on the floor before returning Lya's smile and waving at the while Ventus yawned and kicked back to sleep, casually beginning to float around the room as a gentle breeze blew Ignis onto his side (he was upside-down before). Meanwhile, Yggdrasil yawned, but continued to sit there, glowing faintly as he subtly released a calming aura into the room to keep things peaceful and Sangre did not see the welcoming look in Lya's eyes since he was turned away, but felt that she'd noticed him and held no grudge. For a moment, the spirit continued to float outside of the window, but he eventually floated in backwards and closed the window behind him. Looking over at the new couple on the bed, the barest hint of a smile, easily missed, seemed to cross his face before he nodded at them and took a seat on the floor in a corner similarly to how Yggdrasil was, except with his head down and his arms crossed as though he were about to go to sleep sitting up. As all of this was happening, Elliot was thinking. He had just recently begun to shift so he didn't know of anything positive that would make him shift at the time. His eyes had glowed a golden yellow multiple times in the past hour, but since he could not look into his own eyes, he had no way of knowing that. And even then, a simple change of eye color probably wasn't the type of result Lya was looking for. After wracking his brain for a few minutes as Lya continued to brush his hair, the teen sighed, shifting his sitting position (turning his back to her so that she could reach his left side more easily) and began to speak. "I don't know, not much comes to mind honestly...," the teen began, "besides being with you, I don't think there's much to make my heart soar enough that it might cause me to change... are you sure there isn't an easier way to do this? How do you shift Lya?" There were various reactions to Elliot's unintentionally sappy line. Aqua went "Awww!!!" and looked as though she wanted to pinch his cheeks. Sangre chuckled silently and approvingly. Ignis blinked and started to gag as Ventus nearly fell out of the air, and Yggdrasil remained stoic and focused on the matter at hand missing the line entirely as Georgie continued to nuzzle Lya. Yet, Elliot ignored them all as he was still trying to figure out something that could make him happy enough to shift. Even he didn't seem to notice the sappiness of what he had said. Lya blushed slightly, though the rush of blood in her face remained hidden from Elliot with his back to her. She looked down at the hair in her hands, averting her eyes from the spirits, as well. The No Moon swallowed hard, her heart pattering in uneven tempo for a moment. She spoke hesitantly because of it, softly, but easily heard. "Well, how I change now won't necessarily work for you. But how I changed the first time? Something was placed in front of me that I couldn't have unless I did so. I shifted easily to get to it. I became a wolf for the chase. And then a bird." She told him softly. None really knew how she'd shifted or why. Her father did, because he'd asked and she'd told him. "Tell me what would make you want so badly as to chase, cher. If you had no other choice, and had to shift to get it, what would make you desire so deeply?" She said softly, one of her hands ruffling the chick slightly. Elliot thought about Lya's words carefully considering what she said. A slow grin beginning to spread across his face as he thought he had an idea. Suddenly, the teen turned around grinning at Lya as his eyes shone as though he had figured something out. "Want to play a game of tag?" The teen said, a hint of the wolf gleaming in his eye. Her shapely brow rose over one of those amber eyes as she looked at him. He didn't know what he was asking. He couldn't know what that meant. There would have been no way. She flushed, her eyes huge and somehow vulnerable. The wolf inside him tuned into the pulse of her blood and the beat of her heart as it sped. She blinked and tried to speak, but failed. Her lips parted, her tongue licking at them anxiously. "Cher, do you know...what that means to a wolf, to one of us? It's all right if you don't, and I'll explain, but I can't really let you do that blind." She said, stumbling slightly over her first words. Elliot blinked, swallowing hard as he thought he felt a change within Lya. "...umm," he said awkwardly. Glancing around the room, he saw all the spirits staring at him as if what he said was a much bigger deal than he realized and Lya's words only added to the fact. Eventually, Elliot looked at the woman again before looking down blushing as he scratched the back of his neck. "Err... I'm sorry. Could you please explain it for me?" He said softly. Courageous Ely might be, even she could have her chicken out moments. The No Moon stood from the bed, placing the chick on her shoulder in an automatic movement. She paced to the window, opening it once again to feel the breeze outside, cold as it was, and hopefully clear her mind and brace herself to answer. Back to the room, she placed her hands on the windowsill, watching out the portal. "Cher, chasing in our wolf forms is how you establish a bond, and sooner or later, how we mate to seal the bond. We do as our wild born cousins would." Ely spoke softly, fogging the window with her breath, just to watch the steam cloud it, then fade. "Female wolves usually go into estrus at the same time of the year. All of them together. Mates get picked and weeded from the selection, until it's one male and one female. She plays coy, running off into the woods, and making the male chase her. Thus starts the courtship process. Now, we're humans so the courtship process is longer for us, but wolves, until one of the pair perishes, only ever perform that particular dance once." She said quietly, looking at the patch of fogged glass that she currently drew in with her fingernail. She couldn't look at him right at that moment. The Crescent Moon listened, his blush deepening as he heard and understood her explanation. His mouth opened and closed as he tried to speak a few times, changing his mind at the last moment so as not to say something insulting. Eventually, Elliot lowered his head, carefully considering what to say. Both his feelings and his inner wolf urging him on as he figured out what he wanted to say. "I... wouldn't mind that...," he said slowly raising his head with a smile. The teen then raised his hand towards the woman almost seeming to glow a bit in assurance, "considering the events of the last.. (He checks a clock on the wall next to the closet door and blinks in pleasant surprise at what he found) ...hour, it'd just be killing 2 birds with one stone for us right? Come, let's go play a game of tag!" Then the teen blinked, his hand starting to draw away as he looked at Lya with apprehension, "unless, of course... you don't want to... I won't push you of course. We could find another way..." Elliot's words were broken, more forced than released, but his eyes showed that he meant it, though he hoped that it wouldn't come to that. Again, various reactions came from the spirits filling the room ranging from stunned surprise (Aqua) to an expectant grin (Sangre). Even Yggdrasil's eyes widened a bit in response to Elliot's words. In the end, all of the spirits looked to Lya for her reply on impulse before realizing that they could be pressuring her and scattered, phasing through the walls, floor, and ceiling to give the couple their privacy. In the end, only Lya, Elliot, and the oblivious, twittering Georgie remained as Elliot awaited her reply. Her eyes widened, and from sheer surprise, Ely turned to face Elliot. Every spirit had disappeared, which surprised the No Moon to no end. Typically, the nosy things liked sticking around for the juicy parts. She swallowed, her eyes wide as they met his. She searched for something, and didn't find it. Relaxing, she leaned slightly against the window sill. "You're sure, cher? I know that step doesn't always equal the meaning behind that. Don't feel that it's required of you. I'd never want that." Her hand lifted, sliding over his lightly. The slender fingers tangled with his slightly. "Otherwise, I...would love to play tag with you." She came closer wrapping her arms around him in a hug. She really did want that hug, and she let it go for a few seconds. With little to no warning, Ely had pushed Elliot down gently onto the bed, and darted away. Her form melted into that of a raven, and she flapped to the sill. "I'll meet you at the forest, mon loup." Came her voice from the air. It winged off. Elliot smiled and nodded in response to Lya's question. For him, it was yet another dream come true for him, so of course he didn't mind. In fact, part of him even wondered if it was a trick before he squashed it down. " 'Don't look the gift horse in the mouth', El...," he thought to himself as he hugged Lya back, then blinked in surprise as he found himself pushed down onto the bed. The Crescent Moon blinked, unsure what to think for a moment until Lya said she'd meet him in the forest. 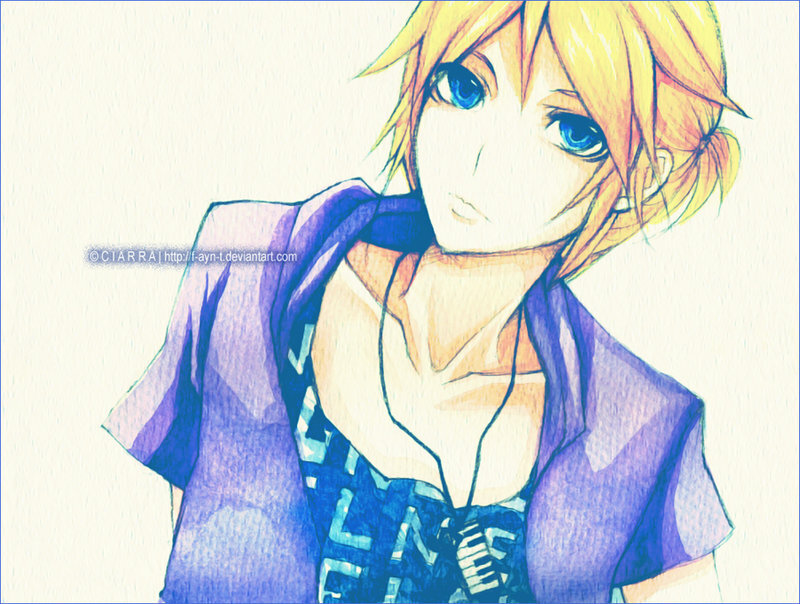 Once again, his eyes shined golden yellow for a moment as he smirked at the windowsill that Lya was on moments before. "Alright, seeya there love," he called after her. Then, the teen scooped up a comb, his hairband, and Georgie. The last of which he dropped him into his shirt pocket where the chick would be safe as he darted out the door, grinning big and eyes almost glowing golden yellow as he darted out of the dorms towards the forest. "I decided to leave the island for awhile and go on a trip, seeya. Sorry I couldn't say bye but I don't know where you were, so Good bye here? Sorry about everything since I came to island, about yume and for angering you. Hope you have forgiveness for me. I had fun at least though, may you find joys too.